Led Zeppelin On Led Zeppelin tells the story of the British band that rocketed to stardom in the late 1960s and went on to become one of the most influential and biggest-selling rock bands of all time. Through the eyes of Robert Plant, Jimmy Page, John Paul Jones and John Bonham, the band takes shape, takes charge of the charts and changes music forever. Any band is made up of its individual parts, but occasionally some very special musicians come together and create something that is more than the sum of its parts. Led Zeppelin On Led Zeppelin aims to encapsulate the band's mindset and creative process as they crafted some of the greatest songs and the greatest albums ever. This book will offer invaluable insight, some never seen before, into what made the band tick, and how they became the most popular band in the world. Led Zeppelin On Led Zeppelin provides an unparalleled amount of detail and information on this most monumental of rock bands. For fans of Led Zeppelin in particular or fantastic rock music in general, this is one book you aren't going to want to miss. In a series of more than 50 interviews that span seven decades, many never before seen in print, this is the story of Led Zeppelin told by the people who knew it best - the members of the band. 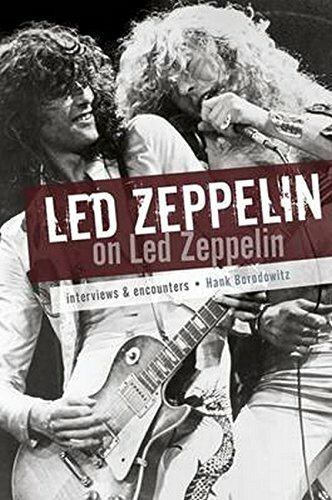 This book shoots down the folklore and assumptions about Jimmy Page, Robert Plant, John Paul Jones, and John Bonham, and presents the band's full history, from when Jimmy Page was playing skiffle to the day the band was honoured by the Kennedy Center for their contribution to American and global culture. Led Zeppelin on Led Zeppelin captures the ideas of all of the band's members at the time they created classics like "Whole Lot of Love," "Stairway to Heaven," and "Kashmir," but also captures the idea of the band itself as it created the music that changed popular culture.